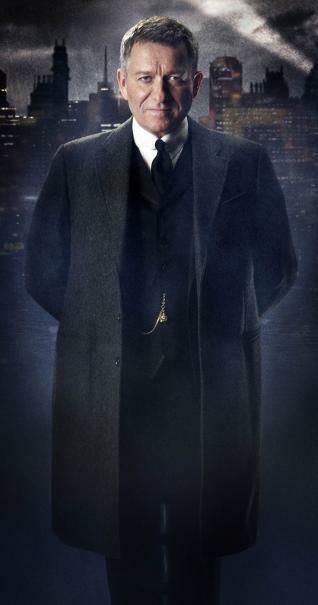 Another new TV spot for FOX’s upcoming Batman-inspired series “Gotham” is now online. Titled “The Good and Evil,” you can check it out in the player below! “Gotham” is an origin story of the great DC Comics super villains and vigilantes, revealing an entirely new chapter that has never been told. From executive producer/writer Bruno Heller (?The Mentalist,? ?Rome? ), “Gotham” follows one cop’s rise through a dangerously corrupt city teetering on the edge of evil and chronicles the birth of one of the most popular super heroes of our time. “Gotham” is based upon characters published by DC Comics and is produced by Warner Bros. Television. Heller wrote the pilot, which will be directed and executive-produced by Emmy Award nominee Danny Cannon (the ?CSI? series, ?Nikita?). Ben McKenzie, Sean Pertwee, Robin Lord Taylor, Zabryna Guevara, Erin Richards, Donal Logue, Jada Pinkett Smith, David Mazouz and Camren Bicondova are set to star in the series, which premieres September 22 on FOX.